Music for Awhile - Margaret Faultless and Rachel Stroud (violins) and Tom Foster (harpsichord) - present music by JS Bach, his sons, cousins and extended family. Since its first performance in 1996, and continuing under its Artistic Director Margaret Faultless, Music for Awhile continues to inspire audiences and performers alike with concerts in a variety of venues and at its own Summer Festival in the magical setting of All Saints, Alton Priors. Musicians from Europe's most acclaimed ensembles come together to perform a wide range of repertoire spanning over two centuries. Music for Awhile has specialised in performing English Opera from Purcell's time and thanks to sponsorship from the Cecil King Memorial Foundation it also features the music of J S Bach in churches around the country. Tonight's recital is one such concert. Music for Awhile expands to form a larger orchestra enabling it to perform major works in venues such as Westminster Abbey, Bath Abbey, Exeter, Gloucester, Hereford and Bristol Cathedrals. 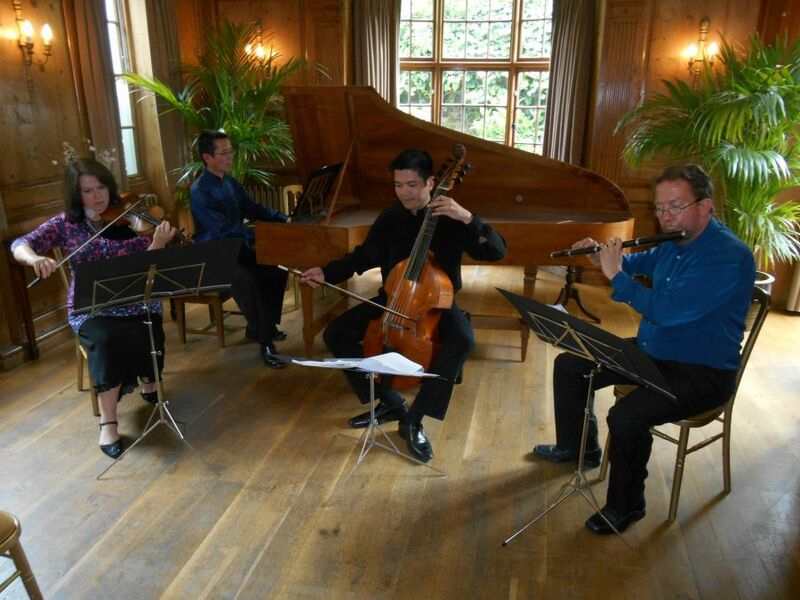 It also has its own chamber music series, formerly held at Conock Manor. Margaret Faultless is co-leader of The Orchestra of the Age of Enlightenment and regularly directs the orchestra. For twelve years, Margaret led the Amsterdam Baroque Orchestra under Ton Koopman, as concert-master and soloist in their ten-year project to perform and record J.S Bach’s Cantatas. She is a regular director of the European Union Baroque Orchestra (for whom she is Director of Studies), Philharmonie Merck, and is the Artistic Director of Music for Awhile. A passionate chamber musician, she was a member of the London Haydn Quartet for ten years. A graduate of Clare College, Cambridge, she is Director of Performance Studies at the Faculty of Music at the University of Cambridge, Artistic Director of the University Collegium Musicum, a Bye-Fellow of Girton College, and Musician in Residence at St John's College. She is an Honorary Fellow of Birmingham Conservatoire and Head of Historical Performance at The Royal Academy of Music. With the Tunbridge Wells International Music Festival we are immensely privileged to present a unique opportunity to hear three of the country's most eminent and celebrated stars of the classical music world, with a stunning programme tailored for this intimate, historic setting. 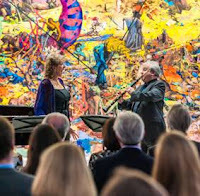 One of Britain’s best-loved sopranos, Dame Felicity Lott, will be joined by world renowned clarinettist Michael Collins and accompanied by the brilliant Irish pianist Michael McHale. on the Rock), Spohr, Poulenc, Saint-Saens and Offenbach. This will be a very special evening of exceptional music. In 1747 the aging Johann Sebastian Bach visited the cosmopolitan court of the young and highly musical King Frederick the Great of Prussia. This was the catalyst for the composition of his great late work Musical Offering dedicated to the king. This programme explores the contrasting styles of Frederick’s court composers, including Bach’s son Carl Philipp Emmanuel and the king himself. It culminates with Bach’s monumental Trio Sonata from Musical Offering. FOLLIA is a baroque ensemble with a flexible combination of instrumental and/or vocal musicians as appropriate to the repertoire being performed. It is made up of experienced specialists in their respective fields. Programmes are based on specific themes drawing on the fascinating links between the music of each period and the historical context of contemporary thoughts, events and developments in the other arts. 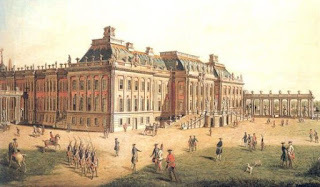 The music performed ranges from the early 17th century to the late 18th century. 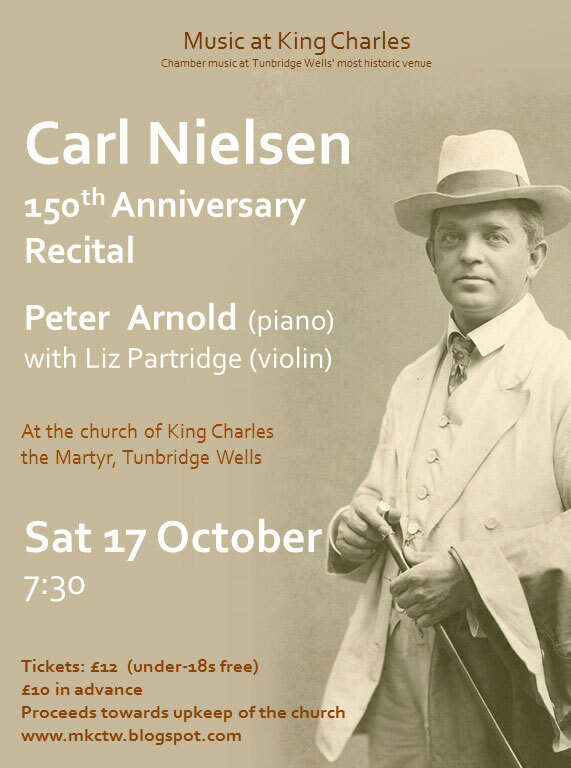 This celebratory concert has been compiled specially by local musician Peter Arnold to showcase a wide range of works for piano by Denmark’s greatest composer. Each period of Nielsen’s varied and interesting life is represented. Peter Arnold was born in North London and studied at Trinity College of Music with John Bingham where he won several prizes for piano. The award of a Hungarian Government scholarship provided him with a further two years of study, at the Liszt Academy in Budapest. He has played in master classes for Vlado Perlemuter, Tamas Vasary, and Andre Tchaikovsky, and on Danish television playing Nielsen for the composer’s protégé Hermann Koppell. 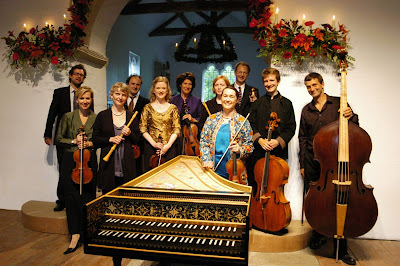 Concert appearances have included the Purcell Room, St. Martin-in-the-Fields, Cheltenham Town Hall, and Egeskov Castle in Denmark. Peter has taught for Kent Music School since 1980, and is a professor at Trinity College of Music Junior Department. Liz Partridge began her musical education as a junior at the Royal Academy of Music, and subsequently went to Trinity College of Music on a scholarship, where she studied both the violin and the piano. Whilst at college she co-founded the Court String quartet and still thrives on playing chamber music whenever possible. Positions in the BBC concert orchestra and ENO were followed by ten years at the Royal Opera House as a sub-principal first violin, where she had the privilege of working with such luminaries of the conducting world as Bernard Haitink, Georg Solti and Carlos Kleiber and listening to Joan Sutherland, Luciano Pavarotti and Placido Domingo. For several years now she has been a freelance musician, working mainly in London with the major orchestras, in west end shows and in recording studios. Recent solo recordings have included work with the Royal Military Academy at Sandhurst and recordings of the most recent Trinity College violin exam syllabus. Other projects include commissioning and editing a new series of quartets for young people, with Boosey and Hawkes. 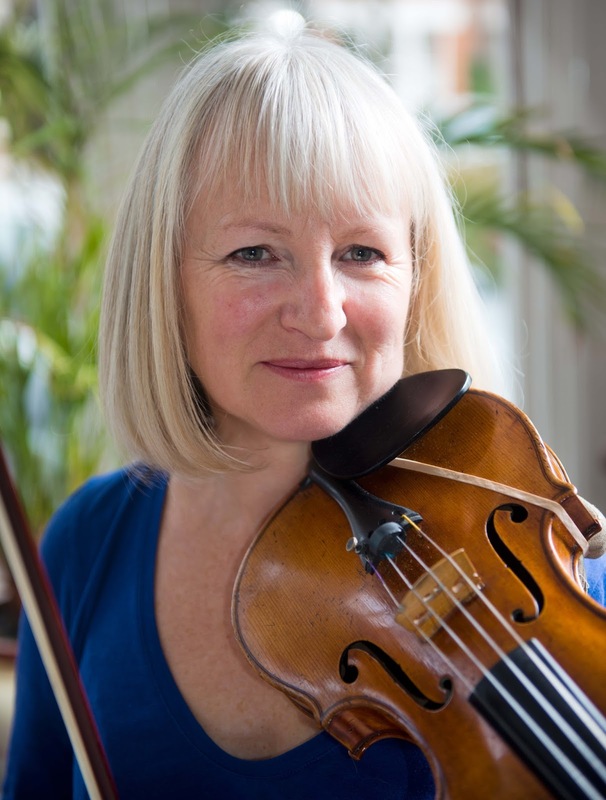 She has led many orchestras during her freelance career and also directed chamber groups from the violin. Teaching and examining feature in her portfolio, and she currently sits on council for the ISM.